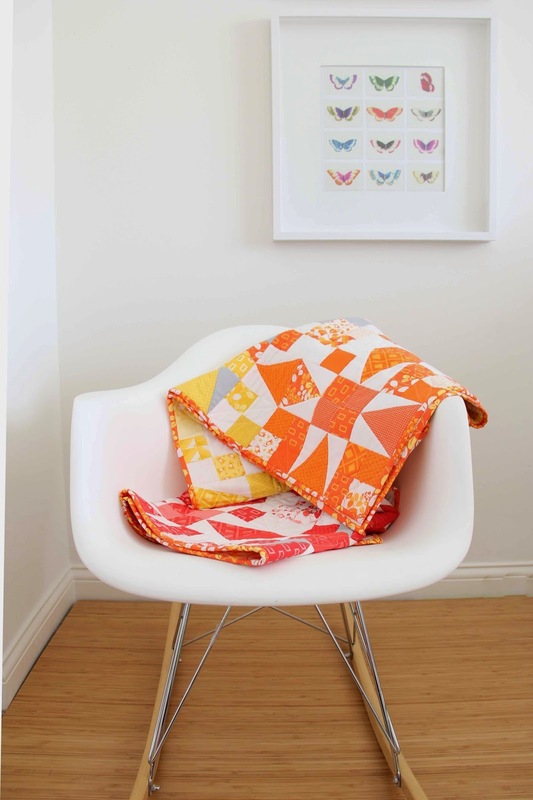 Okay well, Lets introduce these two new patterns. 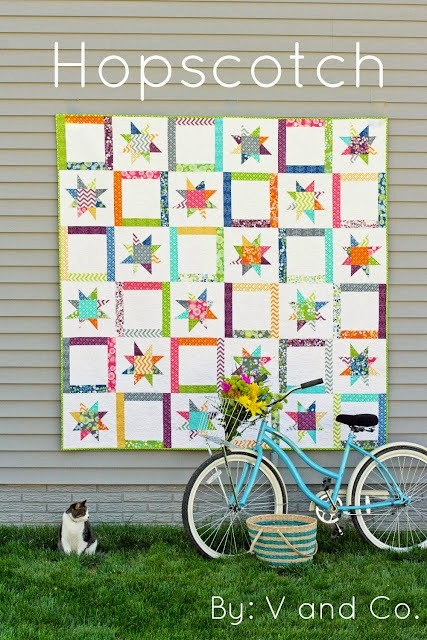 This quilt is such a fun quilt with great colors. 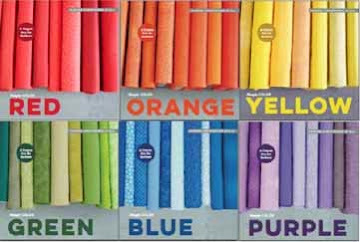 We paired up the Simply Colorful Prints with some much loved Bella Solids. this was when I took pictures of my Hopscotch pattern she seems to think I need to have her be a part of the whole picture taking experience I guess. Still as judgey as ever she seems to be looking at me like "seriously, another picture of this quilt? don't you have like a bazillion?" 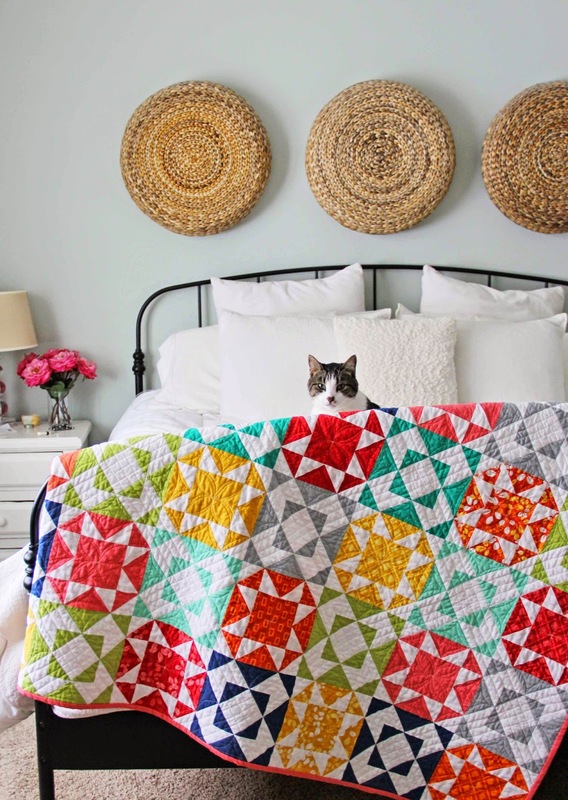 Why yes judgey cat I do, but I really like this quilt so back off." We talk like that to each other all the time, it's not healthy. 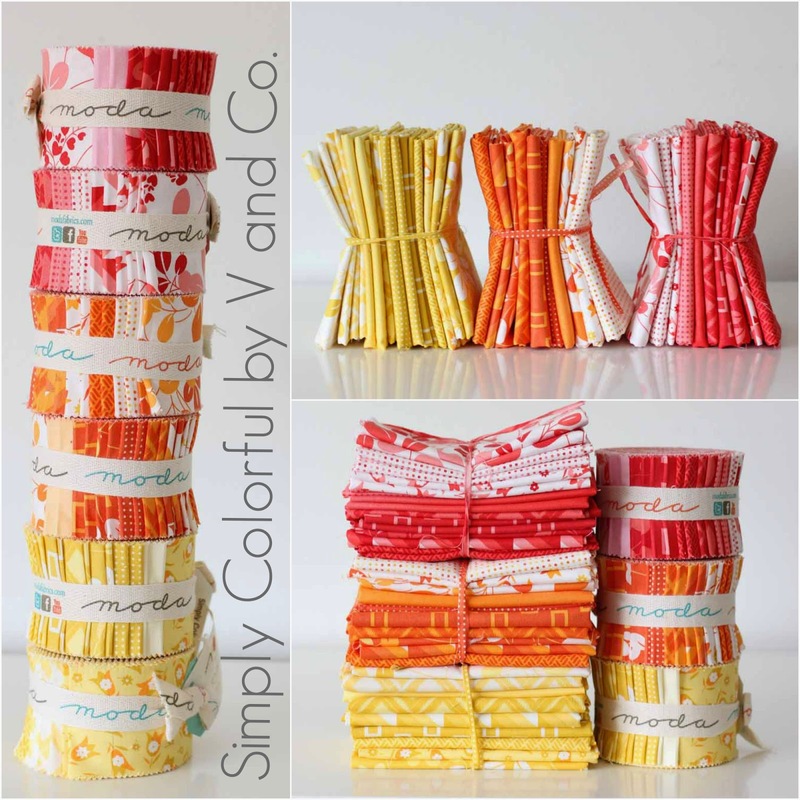 When we made this fabric line of red, orange, yellow to be part of the Simply Color Book Series, I knew I would have to make a couple of patterns as well to display the versatility of this color option. 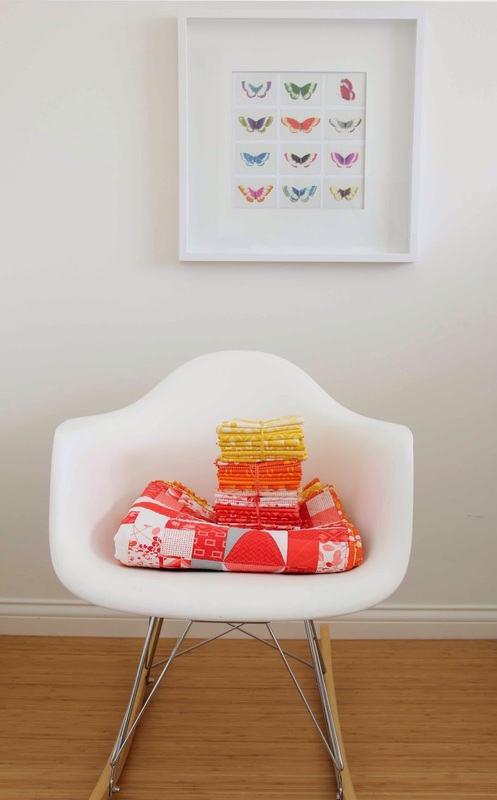 And what screams Sunrise more than RED, ORANGE, and YELLOW? Nothing that's what! 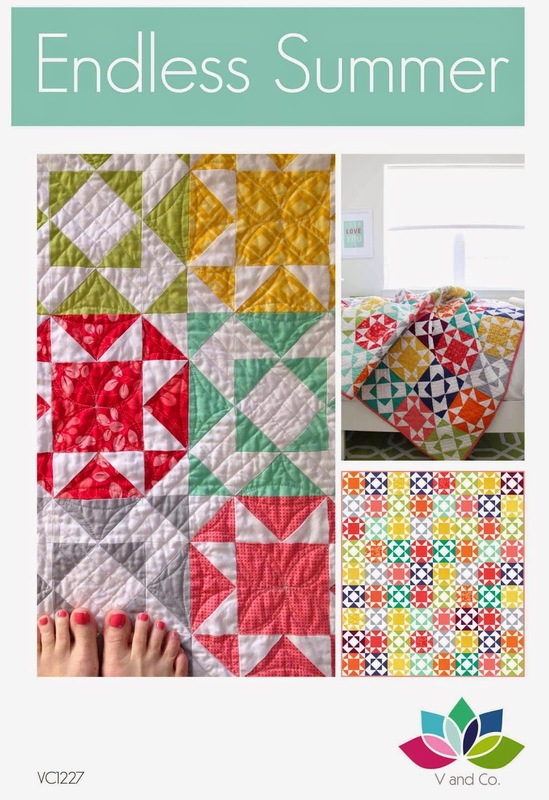 This quilt measures 48'' x 60'' (perfect little lap size) to snuggle under while you watch the sunrise over the mountain, skyline, ocean, lake, field, trees…wherever you may find yourself enjoying the view. 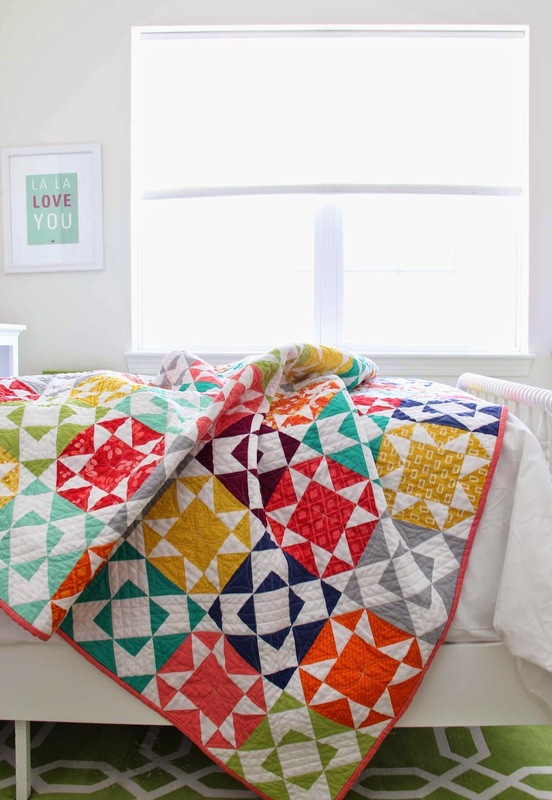 This quilt uses each one of the mini fat quarter bundles color ways. 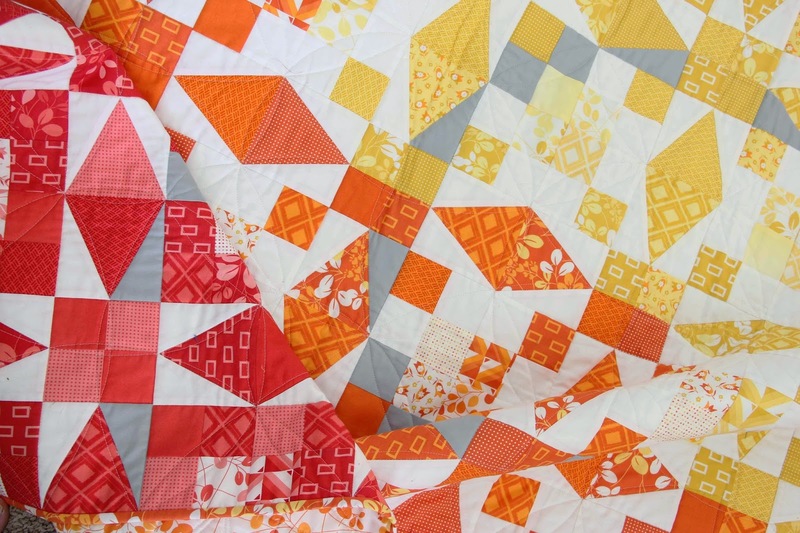 The pattern includes detailed color diagrams of each block in the quilt, and step by step instructions. 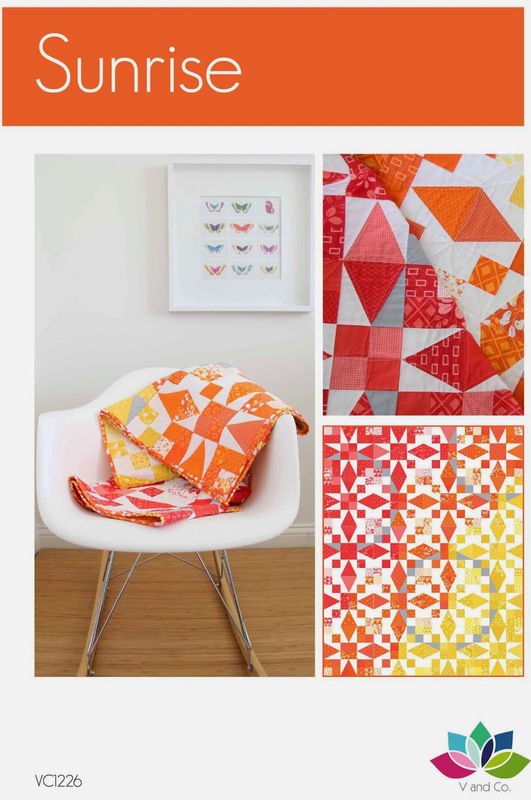 both of these patterns include my Simply Colorful RED, ORANGE, YELLOW fabric line that is due to come out JULY 2015. 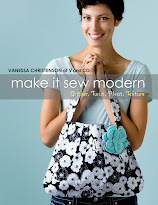 Make sure you enter SUMMER30 to get your discount on all your PDF patterns. SEE YOU SOON! I have more news next month but for now this will do.